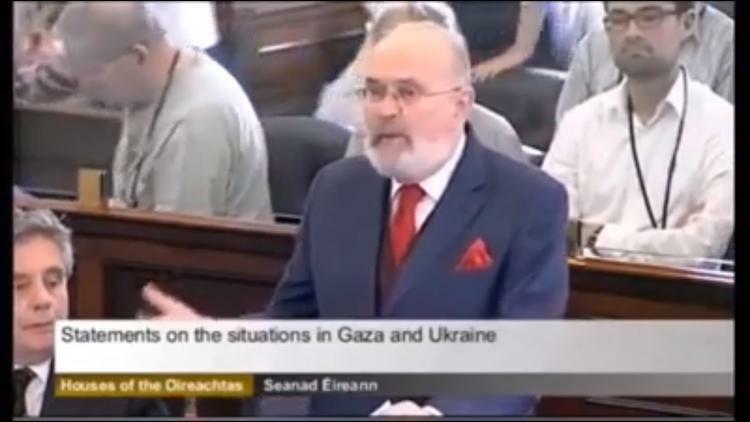 After Sweden recognized Palestine, the Irish government began considering doing so. On Thursday, the Irish parliament asked Irish Foreign Minister, Eamon Gilmore, questions regarding this plan. Gilmore affirmed that the Irish government is planning at some point in the near future to move ahead with recognition. A few European Union member states had recognized Palestine before joining the EU, such as Poland. Only Sweden has done so after joining the EU, with Iceland also recognizing Israel and being part of the Schwengen agreement. The action of Sweden’s leftwing government in this regard may set off an avalanche of similar recognition. The British parliament recently passed a non-binding resolution urging recognition of Palestine. Only 12 MPs voted against it, because even staunch supporters of Israel are exasperated by the boldness of the Likud Party in stealing land, blighting Palestinian lives, and flouting international law. Ireland is a bellwether for European sentiment. The central narrative of Irish nationalism has been British colonialism and its atrocities in Ireland. After the Holocaust, many Irish intellectuals sympathized with Zionism, seeing it as similar to Irish nationalism. But with the clearly colonial actions of Israel in the Palestinian West Bank and the brutality of Israeli Occupation of Gaza, Israel looks more and more to the Irish like the British colonialists who sold off Irish-grown food abroad in the midst of the potato famine. Diplomatic recognition matters because it affects public opinion, including that of judges. Israeli firms on the Palestinian West Bank are increasingly in legal jeopardy in European courts.